Dozens of residents who have been evacuated after a slope failure in their Prince George's Co. neighborhood are planning a unified return home Friday. A rainstorm shifted the foundation of an entire Ft. Washington neighborhood May 4, forcing 28 homeowners to evacuate due to safety concerns, as well as a lack of electricity or water. Six homes were classified as uninhabitable. Though electric service has been repaired, the neighborhood still doesn't have water. "They're making our houses unfit by denying us water," Ft. Washington resident John Schnizlein said. 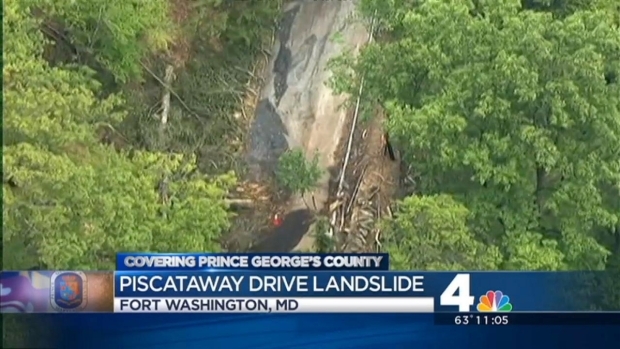 Homeowners in Piscataway Hills in Fort Washington, Md., say they're returning to their homes, nearly a month after a slope failure -- but the county says the homes still aren't safe. A report put together by KCI Technologies and released to the public earlier this month evening didn't shed any light on when residents would be able to return to their homes. The report offered three options for stabilizing the slope, but didn't mention cost or who would be responsible. "We've been out of our homes, it'll be a month Monday," resident Daisy McClelland said. "The only reason we can't go to our homes is that we don't have running water. The line's been there but they didn't hook us up." WSSC officials say the line has been there for a while, but they have been waiting on an "OK" from county workers to turn it on. Dozens of Fort Washington residents didn't get any answers on when they'll be able to move back to their homes following a slope failure earlier this month. 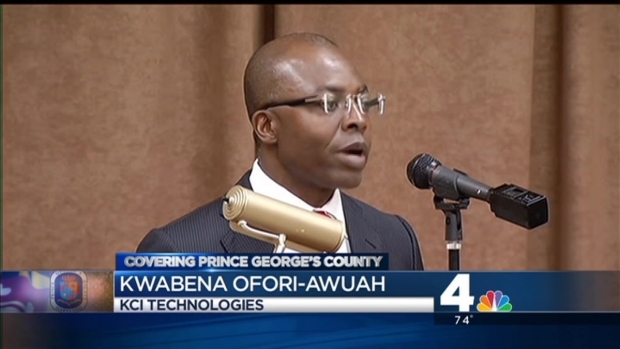 News4's Prince George's County Bureau Chief Tracee Wilkins reports. County officials sent out a memo late Thursday evening notifying residents they won't be stopped if they tried to move back in, but would need to sign a waver. "We've been coming and going so we know what's going on down there," Schnizlein said. Residents were planning to move back in anyway. 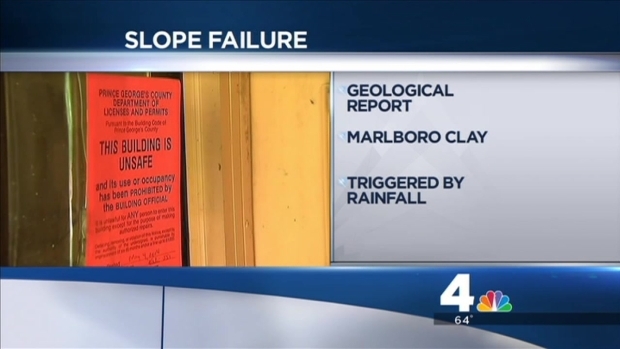 Dozens of residents were evacuated from their Prince George's County homes weeks ago following a slope failure, and a newly-released report isn't shedding light on when they will be able to return to their homes. Dozens of families have been living with relatives and friends or staying at hotels, while still paying mortgages and taxes on homes they can't occupy. "We don't want the county to wane off and leave people hanging with 30-year mortgages," Ft. Washington resident Gwynn Roberson said.